It has been a while since my last update, and yes I'm back to start blogging regularly. A lot of drastic changes in my life and I got so much to say but I'll leave it to another blogpost with pretty pictures. I've decided to blog about something interesting here - how to check who stalk you on facebook. It is pretty easy to find out actually and this is not some scam please, I have better things to do. First, left click on your facebook page and you'll see this icon popping out - click view source and you'll see a string of weird html or source code page. Scroll down all the way till you see a whole stack of numbers with the " ". The first no appears on your page is your no1. 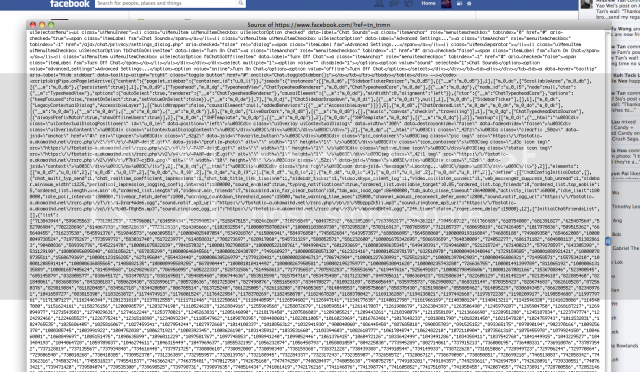 stalker 's facebook ID number (on your right hand side at the corner) for instance let's say it is "2308484" . Copy and paste the number at the back of the link www.facebook.com/"2308484" and then press enter to see who is your secret stalker. Good luck. Hmm, but i have a few person i talk to quite frequently, but they don't reflect on the source code. Maybe you're right?